Though it was an unseasonal 18C this Sunday we can’t hide from the fact that we are in the middle of November and the weather is bound to turn polar very soon. I’ve already located my snood and the liner is back in the waterproof jacket. 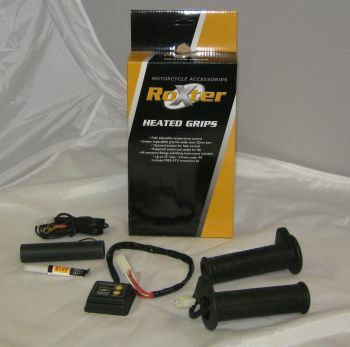 I usually have no issue riding in the cold because with the right equipment one can really isolate themselves from the cold. And that’s the secret; using the right equipment. It’s like in construction, having the correct tool makes the job ten times easier. 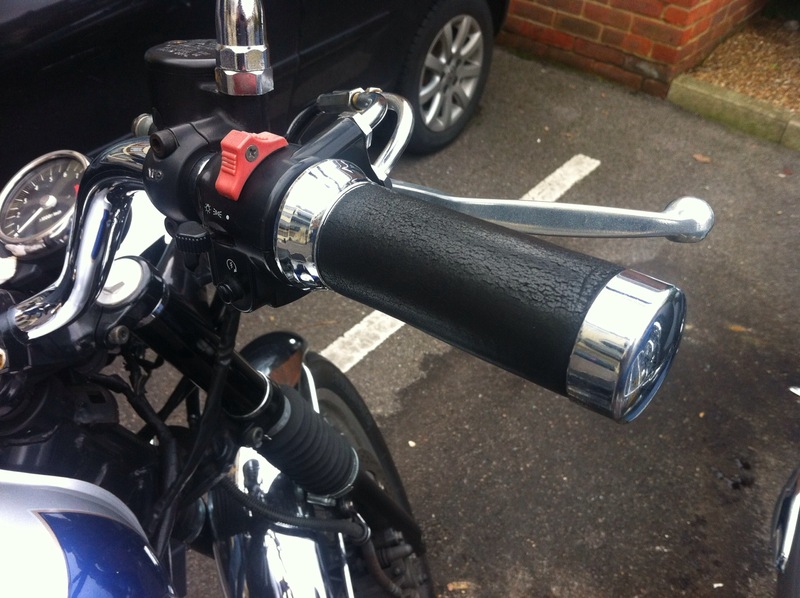 In anticipation of cold weather and a weekend trip to Belgium on 2 bikes we decided to install some heated grips on the Kawasaki W650. I looked around on the web and most reviews of the Oxfords were very good. I also discovered that Oxford produces a sub-brand called Roxter which is 30% cheaper but built identically. The first step was to get rid of the original soft grips. 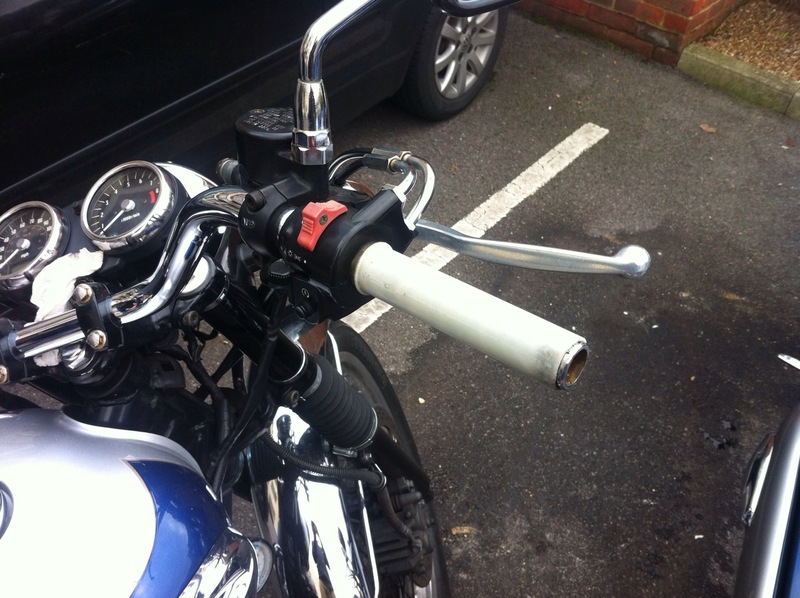 This was done rather easily with some cutters and we soon had bare handle bars ready to be fitted with the heated grips. We did a mock installation before glueing anything to make sure everything worked correctly. 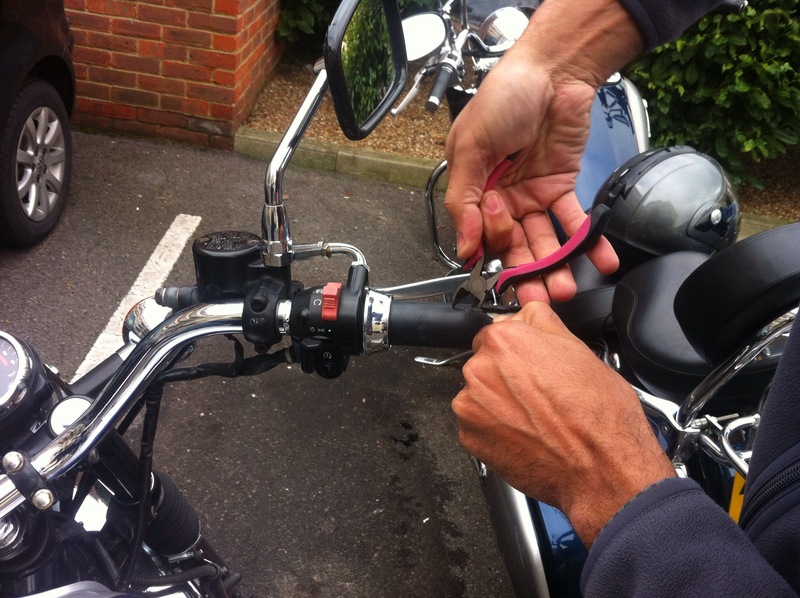 The main issue we had was that I wanted to instal the system on an ignited wire; ie it would cut off when the bike is swithed off. 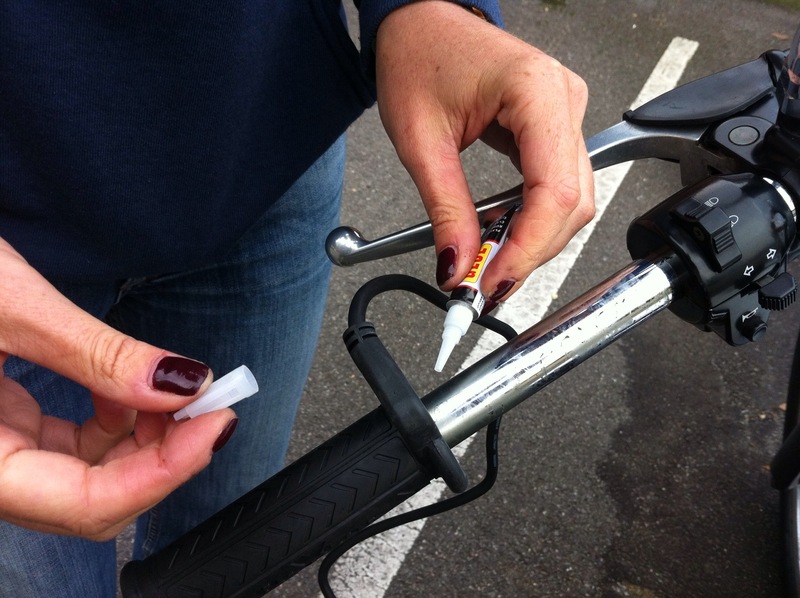 This means that there cannot be any incident where the grips are left on all night to drain the battery. 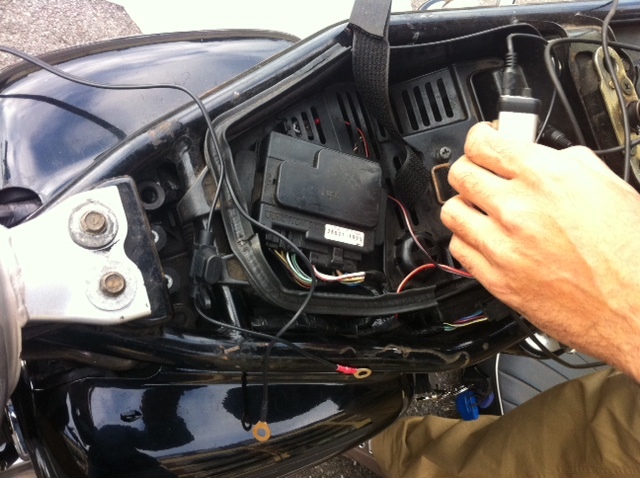 After some searching and thinking like electricians we decided to attach the positive wire to the wire of the back light. 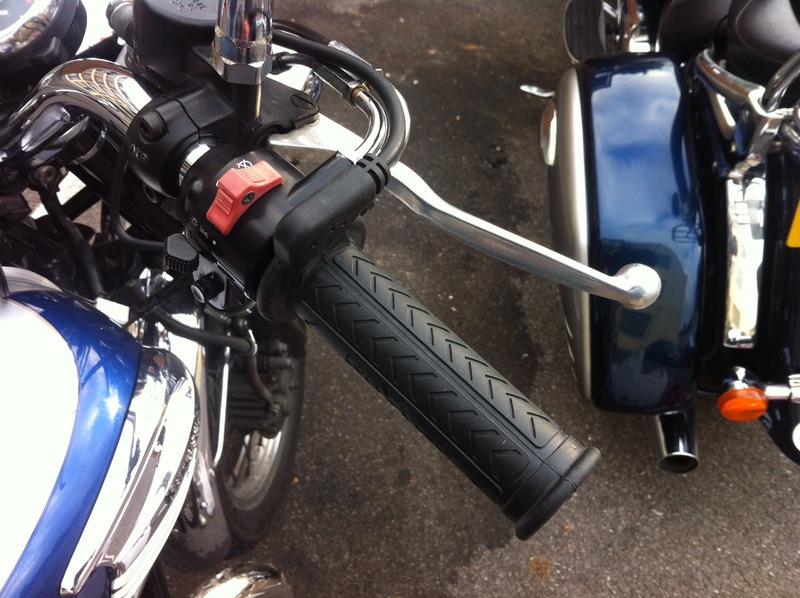 Fingers crossed when I turned the bike on… nothing blows up…good… and the grips become warm. Nice! 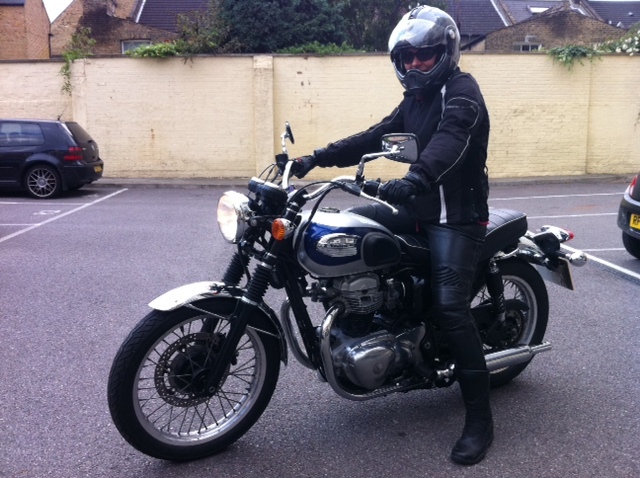 Now the W650 is all set up for the winter!